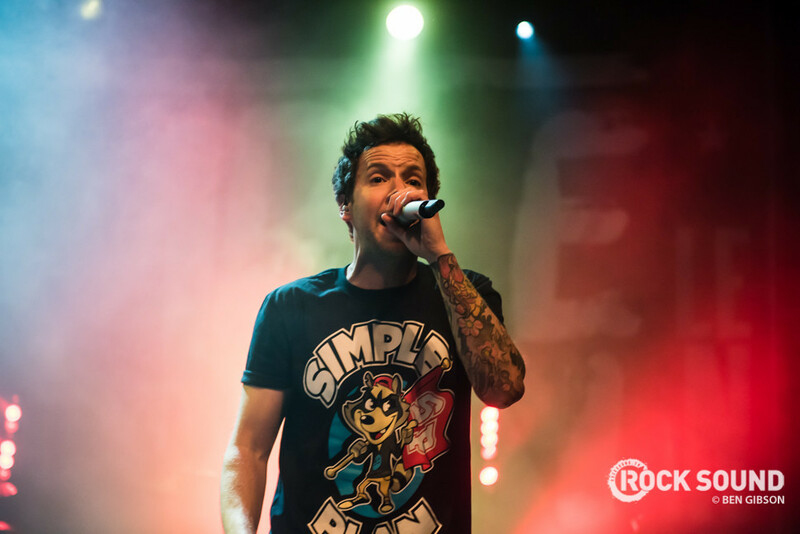 Simple Plan Have Announced A ‘...Just Balls’ Anniversary Tour! Simple Plan have announced a U.S. tour to celebrate 15 years of 'No Pads, No Helmets... Just Balls'. Even better, they'll be joined by Set It Off and Seaway. "It's hard to believe that this year, we will be celebrating the 15th anniversary of our debut album "No Pads, No Helmets...Just Balls". To commemorate this very special milestone, we are extremely excited to announce that we will be heading out on tour performing our entire first album all over the US. Even cooler, the tour kicks off on March 19th, the exact date the album came out, back in 2002." "These last 15 years have been an incredible journey for us. From rehearsing and writing songs in our parents' basements to selling millions of albums and playing shows all over the world, we got to live so many of our dreams because of this band and we couldn't be more grateful. The best part is that we got to do it all with the same 5 friends who started the band together; we couldn't be more proud of that!" "After releasing our 5th album last year and playing more than 100 shows in over 40 countries, we felt it was important take this opportunity to look back and celebrate the amazing adventure we've had as a band and as friends. It felt important to do something special, something we've never done before to mark this landmark in our lives. This is why we wanted to do this tour. "No Pads, No Helmets...Just Balls" changed everything for us and we are so excited to play all these songs again and relive a time in our lives full of so many amazing memories." "More than anything, we wanted to do this tour for you, our fans, who have been there since day one, supporting us and giving us the chance to do what we love the most in life. So many of you have told us how much these songs have meant to you over the years and how this record had a big impact on your lives. We wanted to do this tour to celebrate the emotional connection we all share with these songs. We hope these shows can make you feel like a kid again, make you want to sing your heart out and bring you back to a time where nothing mattered except listening to music, hanging out with friends and going to concerts." "2017 is gonna be an amazing year of celebration for the band and we really hope you'll be able to join us for these very unique shows. Thanks for all your support and see you very soon!"